Located immediately at seafront in the sought after area of Belnem, this 2 bed/2 bath condo offers the perfect location for sun & sea lovers. 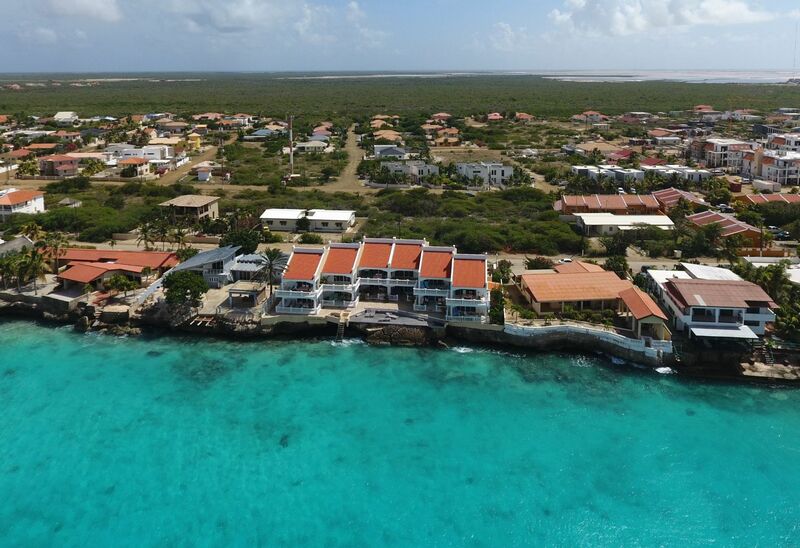 From the condo, located at second floor, one has wide views over the bay of Bonaire and a refreshing jump in the Caribbean Sea is just a steps away; it can't get any easier than this. BelAir 80L has 2 bedrooms with air conditioning and 2 bathrooms, very spacious balcony, living room and kitchen are fully equipped.